If you love the effect of an evergreen tree and the brilliant color of a deciduous tree, you can have both with larch trees. 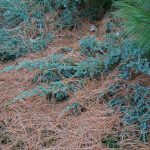 These needled conifers look like evergreens in spring and summer, but in the fall the needles turn golden yellow and drop to the ground. 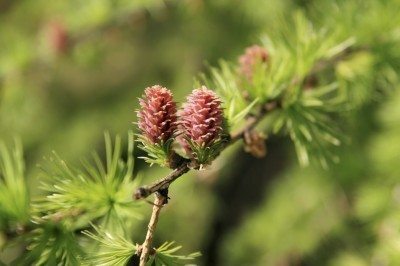 What is a Larch Tree? Larch trees are large deciduous trees with short needles and cones. The needles are only an inch or so long, and sprout in little clusters along the length of the stems. Each cluster has 30 to 40 needles. Tucked in among the needles you can find pink flowers that eventually become cones. The cones start out red or yellow, turning to brown as they mature. Native to many parts of Northern Europe and Asia as well as Northern parts of North America, larches are happiest in cold climates. They grow best in mountainous areas but tolerate any cool climate with plenty of moisture. Larches are tall trees with a widespread canopy, best suited to rural landscapes and parks where they have plenty of room to grow and spread their branches. Most larch tree types grow between 50 and 80 feet tall and spread as much as 50 feet wide. The lower branches may droop while the mid-level branches are nearly horizontal. The overall effect is similar to that of a spruce. Deciduous conifers are rare finds, and they are well worth planting if you have the right location. Although most are massive trees, there are a few types of larch trees for gardeners with less space. Larix decidua ‘Varied Directions’ grows 15 feet tall with irregular branches that give it a distinctive winter profile. ‘Puli’ is a dwarf European larch with lovely weeping branches held close to the trunk. It grows up to 8 feet tall, and 2 feet wide. European larch (Larix decidua) is the largest species, said to grow up to 100 feet tall, but rarely exceeds 80 feet in cultivation. It is known for its brilliant fall color. Tamarack (Larix laricina) is a native American larch tree that grows up to 75 feet tall. Larix decidua ‘Pendula’ is a shrubby larch that becomes a ground cover if not staked upright. It spreads as much as 30 feet. Growing a larch tree is as snap. Plant the tree where it can get at least six hours of sunlight per day. It can’t tolerate hot summers and should not be planted in U.S. Department of Agriculture zones warmer than 6. Frozen winters aren’t a problem. Larches won’t tolerate dry soil, so water often enough to keep the soil moist. Use organic mulch to help the soil hold moisture. 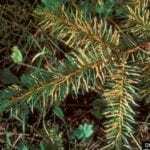 Read more articles about Larch.